Bus returns to Club rooms after Service. Club rooms open for breakfast ($15) and refreshments after Service. 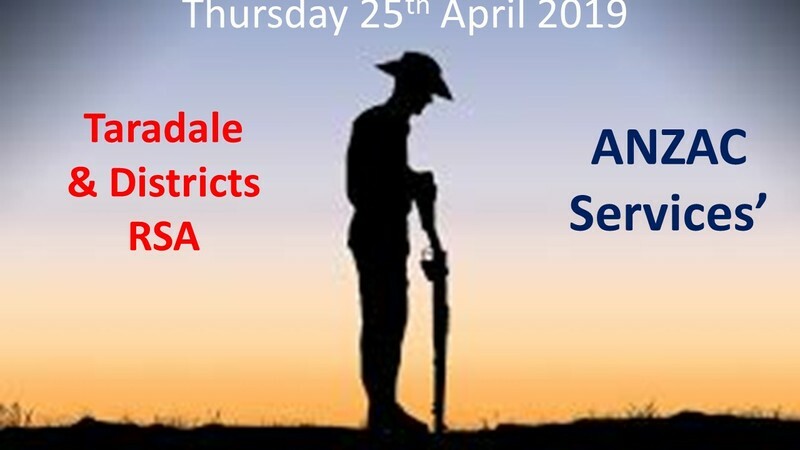 Following each of the Services we extend an invitation for everyone to join us for refreshments at the Taradale & Districts RSA Club rooms. There will be entertainment from 11.00 am and the 156 on Gloucester Bistro menu will be available.